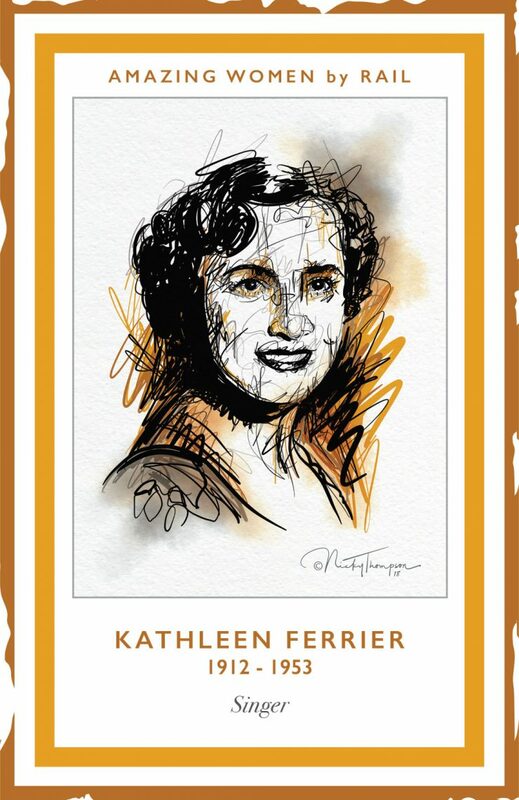 Kathleen Ferrier (1912 – 1953) was a singer. Kathleen was born in Higher Walton in Lancashire and lived at 32, Hoghton Lane, PR5 4EB where a bronze plaque can be seen. The family moved to Blackburn when her father was appointed headmaster of St Paul’s School. Kathleen initially showed promise as a pianist and entered local competitions with some success. She left school and trained as a telephonist. In 1937 Kathleen won prizes for both piano playing and singing at the Carlisle Festival. She began to sing professionally, performing on stage and on the radio. Kathleen toured the USA and Europe to great acclaim and recorded extensively. Sadly, she was diagnosed with cancer and died aged only 41.